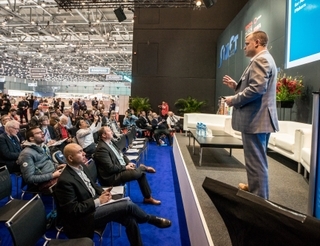 GENEVA INTERNATIONAL MOTOR SHOW, Geneva – HARMAN International Industries, Incorporated (NYSE: HAR), the premier connected technologies company for automotive, consumer and enterprise markets, today presented for the first time in Europe HARMAN’s Life-Enhancing Intelligent Vehicle Solution (LIVS) at the Geneva International Motor Show 2016. With LIVS, HARMAN is bringing together previously discreet or separate connectivity and operational domains under a new, holistic automotive computing platform. LIVS is the industry’s most complete end-to-end system to provide drivers intelligent, adaptable and personal solutions in the car. HARMAN LIVS will be demonstrated in the latest Rinspeed concept car – ΣTOS. The HARMAN LIVS technologies that sit at the heart of ΣTOS are helping to reimagine intelligent driving experiences. 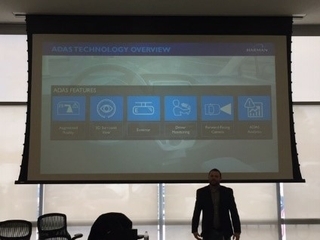 Within ΣTOS, HARMAN has delivered a suite of technologies encompassing infotainment, navigation and connected car solutions. These features are capable of learning and anticipating the preferences of vehicle passengers. ΣTOS passengers communicate with the system by voice, hand gestures, physical controls or touch and/or a combination of these technologies based on each passenger’s preferences. The interior adapts to the particular driving situation seamlessly. Scalable compute platforms adapted individually to the needs of automakers and vehicle segments. Modular connectivity solutions, providing high-speed networking interface for connectivity both inside and outside the car and can deliver connected services such as weather, parking and reservations. State-of-the-art camera-based Advanced Driver Assistance Systems (ADAS), which monitor, record and assess the surroundings of the entire vehicle. Intelligent learning navigation and high-resolution 3D maps for high-precision positioning systems including micro-city and micro-parking models; ADASIS e-Horizon to extend drivers range of perception beyond their range of vision using V2X technology. Personal component configuration in the car with multiple ultra-high resolution displays that can be used in varying configurations to support the best infotainment and entertainment intelligent use case scenarios; LIVS helps the ΣTOS raise the visual user experience to an unprecedented level with two curved, ultrahigh-resolution 4K 21.5-inch widescreen monitors and a central HD display that present relevant information to the driver and his or her co-pilots. Complete office suite for autonomous vehicle mode, which affords the same level of productivity as a stationary office including one-touch video conferencing. The comprehensive HARMAN 5+1 safety architecture with hypervisor and firewall as an indispensable basis for all technologies and services, including OTA (Over the Air) update capabilities, which helps to protect the connected car from outside threats such as hackers. HARMAN’s LIVS technology is available for demo in the Rinspeed ΣTOS located at the joint booth of HARMAN and Rinspeed at Geneva. Visit the HARMAN showcase during the Geneva International Motor Show 2016 for demonstrations of the company’s full portfolio of car audio systems and connected car solutions. The HARMAN showcase is located at the Rinspeed booth Nr. 6240 in Hall 6.